Ideal solution for securing wheel trims to wheels or general use around the home / workshop. 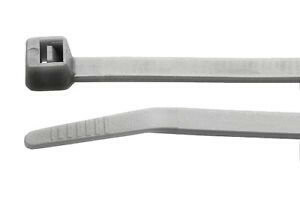 Silver/Grey Wheel Trim Cable Ties. 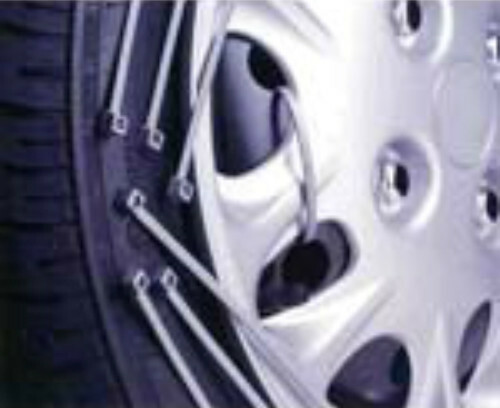 Ideal solution for securing wheel trims to you wheels or general use around the home / workshop. The colour blends in nicely with the wheel trims. To be used to secure wheel trims to wheels in a nice colour blended fasion or for general use around the home for all the standard cable tie uses. Colours available: Natural, Black, Silver, Yellow, Blue, Red etc. Our Products are of High Quality and Low Cost that gives you the best results every time. Can be supplied continuous on bulk spools, cut lengths or printed. For further information please contact our sales team.